MetLife Stadium, East Rutherford, New Jersey. Seattle Seahawks won their first ever Super Bowl in history after they dominated the Denver Broncos with a convincing 43- 8 victory at the MetLife Stadium. From a huge error to start the game and from then on in, the Seahawks would easily cruise to the win as they built their win affirmatively. It was a problematic night for the Denver Broncos, who only got one touchdown in the game along with a two-point conversion. Seattle would comfortably be raised victorious, with Broncos looking far from a threat. Denver Broncos opened the game with a twenty-yard return, after Seattle Seahawks won the coin toss and elected to receive in the second half. It was a hilarious coin toss with NFL legend John Namath, sporting a furry coat and having to toss the coin twice since his first was premature. Seattle Seahawks had the best start to the game, with a two-point safety in the first play. Poor communication resulted in the ball going over Peyton Manning and Seattle Seahawks already lead by two points, merely twelve seconds into the game, becoming the fastest score in SuperBowl history, and also giving Mark Cuban a chance to troll the Internet. Percy Harvin was involved in a big second play for the Seattle Seahawks, progressing the ball, and almost getting a touchdown, but he was knocked out of bounds during his run. It would be very contrasting to the play that followed, with Denver on a 2nd & 15 from a flag for a premature start - only for Russell Wilson's throw to his tight-end to be dropped. Seattle would pull through for the 1st down, a big third down conversion from the Seahawks to keep early momentum. Seattle's third down play was initially called a yard off resulting in a fourth down. The Seahawks challenge saw the ball moved closer, but not enough for a first down, resulting in a field goal attempt from 26 yards. However, in the second flag of the game less than five minutes for a premature offensive start, Seahawks were taken back to a 31 yard attempt, of which was converted and Seahawks took a 5 - 0 lead. Another flag in Denver Broncos' possession brought the ball up by five yards onto their own 35. Denver would find themselves with their first down five minutes into the game. It was caught my Thomas but short for the first down. 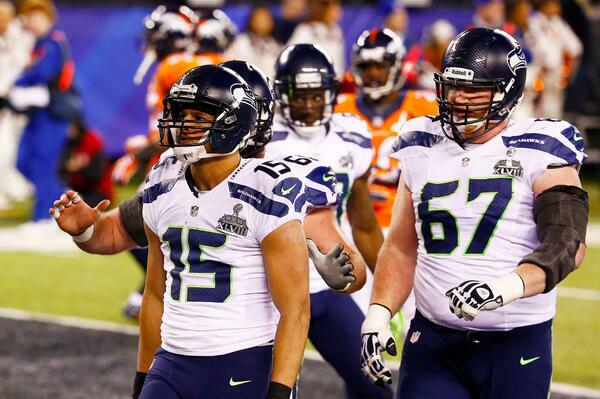 Seahawks would be back in possession following the punt from the Broncos. A good catch from Golden Tate would allow the Seahawks to avoid another three-and-out. However, in their second set of downs, they would find themselves on another third down, with Russell Wilson being caught in some trouble, having to flip the ball forward resulting in 3rd and 5. They would convert the third down in emphatic fashion with a 27-yard throw from Russell Wilson to Bailey, resulting in 1st and goal. Another flag would send them back, and soon would find themselves on another third down. After they failed to convert, a field goal late in the first quarter would see them end the first fifteen minutes 8 - 0 up. With Denver Broncos in possession to start the second quarter, things would quickly go pear-shaped once again with Seattle's defence taking its toll. Peyton Manning's pass was intercepted by Chancellor, and eventually the Seahawks would progress the ball for a touchdown to lead by 15 - 0 following the conversion. Around five minutes into the second quarter, and Denver's first 1st down of the game would come. Till that point, the Seahawks had been doing a great job of containing Manning and keeping him on the pitch for as little as possible. When he was on the pitch, he would also have little time to throw the ball, with Seattle forwarding at a quick pace. It was looking to be another third-and-out for the Broncos with a third and long. However, a big pass from Manning would take them to the third yard line, for a new set of downs. Slowly, but surely, Denver were starting to find their rhythm, with second and inches after the next play fell short of a first down. However, the Seahawks gave them a sturn reminder of their defensive capabilities, pushing them back to 2nd & 22. After making nine yards, Broncos were back on a third down, and it would prove disastrous. 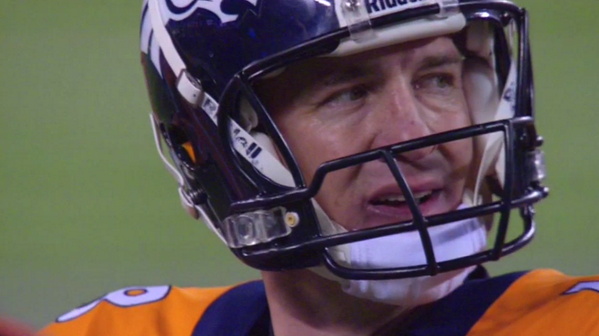 Peyton Manning was under pressure and forced to throw it away. Malcolm Smith would intercept and run it to the end zone for a touchdown that firmly put the game into Seattle's hands. It would be converted also, resulting in Seattle leading 22 - 0. It was Seattle's sixth interception of the game, the Seahawks defense was running riot. With 3:21 remaining of the second quarter, Seattle's kick to Denver resulted in another turnover, of which was then reviewed. It was reviewed and Broncos retained possession. Yet again, another 3rd and long would be on the cards. After Peyton missed a throw, and Seattle's defence contained him, they failed to convert in another third down short of the next set of downs. Seahawks would finish the half up by twenty-two points in a dominant defensive performance, while Peyton Manning was not able to conjure up any offense good enough to even register a point in the first half. Bruno Mars delivered an incredible performance during the half-time show to light up the sky in New Jersey and keep MetLife Stadium rocking. Performing with the Red Hot Chilli Peppers, Bruno Mars performed a few of his GRAMMY-Award winning hits, lighting up the sky above the MetLife with some spectacular firework displays. 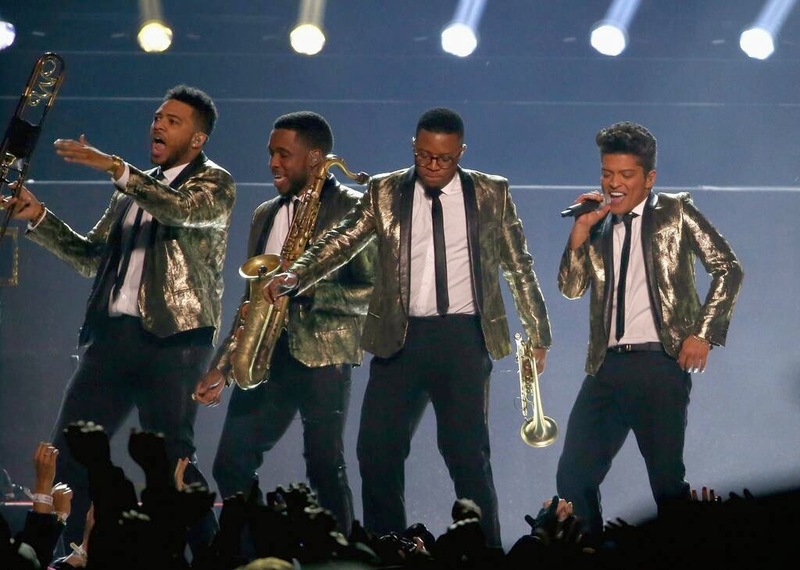 MetLiving: Bruno Mars created a vibrant atmosphere during halftime at MetLife Stadium. Seattle Seahawks had an incredible start to the second half. Percy Harvin received the ball from the kick-off, and returned it all the way for a touchdown, a flashback to Jacoby Jones' return at the SuperBowl last year in the first play of the second half back then. Denver Broncos were really up against it now. And their first set of downs had another third down with a 3rd & 3 this time. At this rate they were going nowhere, Peyton needed to reinforce the passes that made his MVP year. Luckily for him, he wouldn't need to convert, with a defensive penalty resulting in a five yard progression for Broncos' first down. An incredible catch from Jermaine Kearse followed by a conversion would surely settle the game. Russell Wilson through it to Kearse, who span out twice to beat defenders, striving into the end zone for a spectacular touchdown. It was converted, and now Seahawks lead 36 - 0. At least the Broncos didn't leave with nothing, but it took their team three quarters to register their first points, with a tremendous catch in the end zone followed by a two point try. Three quarters done and Seahawks lead 36 - 8. After two plays, Seattle Seahawks were able to progress the ball back into Denver territory. Denver may have scored before the end of the third quarter, but the Seahawks were ensuring an undoubted SuperBowl victory. While Denver often encountered trouble with their third down conversions, the Seahawks were doing just fine, as they were able to get a new set of downs. Early in the fourth, Russell Wilson ran out of some trouble to make a great throw, followed by a great catch from the receiver for a first down. Jermaine Kearse would make another great catch. Russell Wilson's second TD pass of the game fell to Doug Baldwin, who saw off four Broncos defenders to get to the end zone of poor, soft defending. It was also converted, to make it 43 - 8 for the Seahawks. With Broncos back in possession, a similar story would re-occur, third-and-out for Denver. Seattle were back on the offensive, with another third down after two plays, just a yard away. Richard Sherman did not return to the game after picking up an ankle injury in the fourth quarter. Seattle Seahawks would not convert the next time for the third down, and tried it for a 4th & 1, this time unsuccessful. As the Lombardi Trophy was brought to the touchline, Denver were back in possession. There was yet another turnover, to add to Broncos problematic night, as the Seahawks were back in possession. The clock would wind down and the whistle blew, the Seahawks had won their first Super Bowl in franchise history. A dominant first half from Seattle. Their defense completely obliterated Denver's with six picks in the first half. Peyton Manning simply did not have enough time to make a good play, making it easy pickings, literally, for the Seattle Seahawks. It was a disastrous start that kind of set the tone for the first half of action, with Peyton Manning's poor communication leading the two-point safety. Peyton Manning had a poor first half, with his passes being picked off or being thrown way off. Seattle had contained the MVP thus far. At one time, when the Broncos were slowly conjuring up some good plays, they received a vast, quick reminder of Seattle's defense, with the interception and then touchdown. Turnovers came in numbers to start, Denver Broncos simply had no answer to the strong Seattle defense. Twelve seconds into both halves and there was a score, with a superb touchdown from Percy Harvin in the second, and the two-point safety to start the game also. Percy Harvin's second half touchdown in the first play after the interval was the worst thing to happen for the Broncos. Coming out with an attempted rejuvenated attitude and motivated to get back in the game, it was almost as if Harvin took it away from them instantly. Peyton Manning could simply not get anything done. When he was able to get throws off at a good enough quality (when it wasn't jeopardized by Hawks' defence), the receivers were annihilated and unable to progress the ball or receive. Solid defense from the Hawks. One of the best plays of the game by far was Jermaine Kearse's touchdown. Two spins to get away, and like I read on Twitter, it was like Jermaine Kearse using skills on NFL Videogame, MADDEN. That awesome touchdown really just further instated the win. That would prove a mere anomaly. Seahawks showed up the Broncos' offense with their own superb offense, Russell Wilson's passes were well caught even in the hardest of circumstances. Doug Baldwin's touchdown was far too easy, the defenders were incredibly soft on him, with four in his way, he managed to get through - there's your problem clearly shown. Turnovers, great passing, and a well-oiled machine called the Seahawks, that's what happened at the SuperBowl, that is what got their first SuperBowl win and dispatched the Broncos at ease. It started from the first play, and would lead to more points. From the two-point safety, two the picks and Peyton missing completely. It was just a terrible outing for the Denver Broncos. They may have had the league's best offense, but that offense was outdone by the Seahawks' overpowered defense. Broncos failed to click. Simple as that. Prior to this game, Seattle Seahawks had the title of the league's best defense. At the Super Bowl, they showed that their offence was significantly better too. Russell Wilson, a young quarterback with plenty of his career ahead of him, he really outdid Peyton with his throwing tonight, be it his running out of trouble then throwing, or just running alone. And his receivers were a real credit, too. Peyton Manning really didn't turn up for the game, but nonetheless, he has been an influential part of the league for years, and this takes nothing away from his extraordinary season. For Seattle Seahawks, their win is about taking this back to their fans in Seattle, the twelfth man, who was so influential in their road to victory. Denver Broncos were simply outclassed by the Seattle Seahawks, who were on another level in both defense and offense in the game. The Lombardi Trophy was in Seattle's hands, finally. "We believed we could get here. I couldn't of done it without the guys". "Why not us?" Russell Wilson told FOX Sports after the win. "The defense was relentless, offensively we were clicking on all cylinders. We want to be Champions every day", the Quarter-Back added. 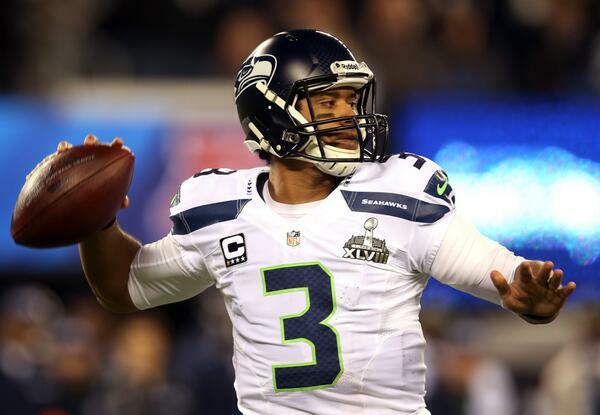 Seattle Seahawks prove by far the better team in the greatest night of their franchise history. A spectacular triumph on the Grand Stage. SuperBowl 48 was an absolute rout. A full report of Super Bowl 48 from the MetLife Stadium on Sunday 2 February 2014.